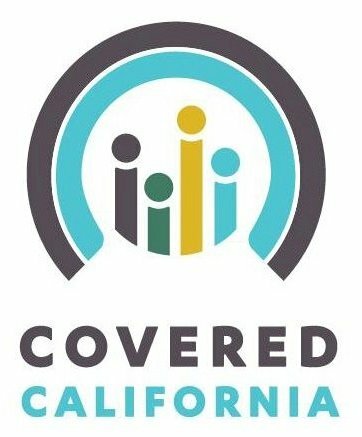 Covered California is an online marketplace where you can compare, apply for, and purchase health coverage. There are 4 plan levels: bronze, silver, gold, and platinum. All plans offer the same essential benefits, and the only difference is how much you will pay in monthly premiums and out-of-pocket costs. 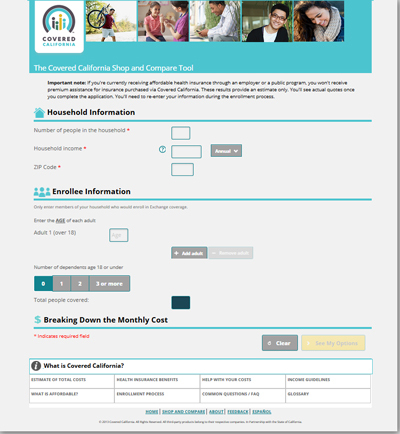 Monthly premiums are based on plan level, geographic region (there are 19 in California), age, and family size. There are limits on how high the premium can be for age and family size. Premium assistance (also known as advanced tax credits) is available for those who qualify based on their income and family size. Use Covered California’s Shop and Compare Tool to see how much you’ll pay in monthly premiums and whether you’re eligible for premium assistance. What are the differences between the bronze, silver, gold, and platinum plans? The Affordable Care Act introduced new benefits and protections for people shopping for health insurance. During the first year, you can enroll in Covered California starting October 1, 2013 through March 31, 2014. In 2014 and every year after, you can enroll in Covered California starting October 15 through December 7. You can only enroll outside the enrollment period if you have a qualifying life change such as the loss of a job, a marriage or divorce, or the birth of a child. Please call Covered California for more details. Health insurance companies will sell four plan levels - platinum, gold, silver, and bronze. All levels will offer the same essential benefits (listed above). The more expensive plan levels will pay for a higher percentage of health care expenses. Minimum coverage plans are also available for anyone 30 years old and younger. These bare bones plans have lower premiums but higher out of pocket costs. Premium Assistance is not available with this plan. Out-of-pocket cost is the amount you pay for services that are covered by the plan. This includes co-payments (what you pay at the doctor) and deductibles. Use this chart to find the Covered California insurance providers in your area. You can use the Shop and Compare Tool to compare prices. Children's dental plans will be sold separately. See the complete list of rates at Covered California.